The competitive world of newspaper advertising might be a world away from children's fantasy literature but Jim put pen to paper hoping to capture the imagination of his own two children, who feature as the two central characters. 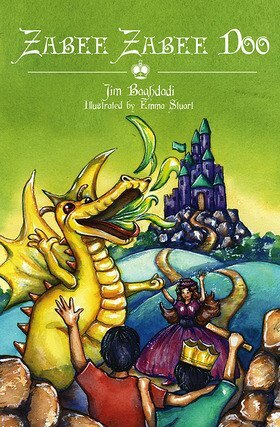 But his tale of magic, dragons and fair maidens had a much wider appeal, with children from 7-12 years all spellbound by the tale. This reaction led the advertising man of twenty years and former junior tennis coach to publish his first book.